Hi chaps,i found a set of clock templates in my files that id forgot about,i got these off some website years ago....they are a quick and easy way to mod your clocks without shelling out for a lockwood kit,these can be doctored however you want,stick them into paintshop pro or photoshop and do what you like with them....they are prefect templates which can then be cut out and placed over the top of your originals.Not sure what they look like at night but they are free so i thought they might interest someone.Click to view full size and if you print them out you might have to experiment with the sizing to get them correct,just keep the aspect ratio the same when you do.Below the blank is a quick effort i did at some dials for my V6.....Enjoy! nice one ben,the blank templates mean that anything can be done with them,only limited by your photoshop ability....theres a mk2 set kicking about somewhere,i will see if i can find them. Could do with a supercharger set - I've got a 180mph speedo too. i think they should be in .pdf format to retain sizing..
guess i'll get to work then..lol..may even redo them as true layered blanks as a .psd if anyone's interested..
nik ive no idea what a layered .psd is but its sounds cool! About time you put a UK clock in there Toni!! What, and get rid of my ability to do 180mph? Never!! Got to have the SC LED too!! nice one shmed,ben the topic title needs editing to "mr2 clock templates"
You wouldn't lose the slightly pointless SC led if you changed your speedo clock. Your gearing won't take you to 180mph unless you can do about 12,000 revs! Done, though you could have edited the title as it was your post originally. 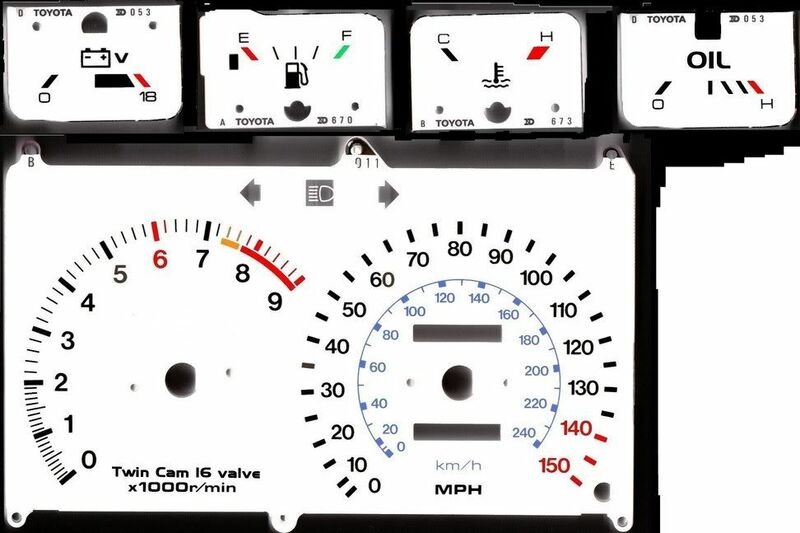 Has anyone got a template for clocks upto 180mph for the mkII ? I've got the file for the 180mph clocks in the same style as Shmed posted above, got them from the old IMOC site. Haven't got anywhere to host them at the moment but if you let me know your email address i will send them to you. Sorry, not I. 180 is something I only dream of, at darts or in a car!! James, email them to me and I'll stick them online.